Location ( From The Green Zhurga ): 1.3 Km, about 3 minutes drive. Experience the excellent Bali diving. Often overlooked by divers headed for Komodo, Manado or the Lembeh Strait, Bali diving is special in its own right. Either as an add-on to an Indonesia diving trip or as a complete and inexpensive dive vacation with the added benefits of Bali’s unique culture and shopping for the creations of Bali’s many artists. 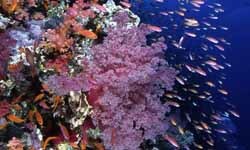 Aquamarine Diving – Bali operates 1 day dive trips and multi-day dive safaris throughout Bali. A small operation specializing in quality SCUBA diving tours. Custom dive trips are their speciality. Dive Tulamben for the Liberty Wreck and superb macro underwater photography, Secret Bay for weird muck critters, Nusa Penida for Mola Mola (in season), sharks and mantas, or combine all these into a customized dive safari. Indonesia diving is among the best in the world, Bali diving is an easy and inexpensive way to see the best of Indonesia.